I keep coming around to the question “Does Philips Hue work with 220V AC?” So many people are asking this question. Yet it seems that the question is harder to answer than one would think. The short answer is sometimes yes and sometimes no depending on what generation of the bulbs you are using and where you live. I will go into the reasons it may or may not work depending on where you live. Why did I buy Philips Hue, to begin with? While on my most recent smart home buying spree I recently picked up a Philips Hue Starter Kit from Amazon. These things are all the rave and I had to find out for myself why they were so awesome! I had also read that they work in recessed lighting fixtures, so that got me excited as well because I have 10 recessed fixtures in my basement. I was also in love with the idea because I was going to be leaving on a family trip and was thinking about security. It’s always comforting to know that your lights are on in the evenings when you aren’t home. It was also nice to find that these are compatible with both Alexa and Google Home. Probably one of the nicest features that tipped me right over the edge into buying mode though was that you don’t need dimmer switches anymore! You can dim these right from within the Philips Hue App. Alternatively, you can just ask Alexa or Google Home to “dim the lights”, or “turn the living room lights down 50%”, or “dim all the lights”…..you get the idea. You can connect up to 50 bulbs to 1 bridge. Voice control with Alexa and Google Home. You can create lighting schedules that can make your daily schedule seamless. One other thing that I love more and more about Philips Hue is their add-ons, especially for smart outdoor lighting. During installation, I didn’t find any particular issues or problems. The set up was fairly simple as far as most smart home devices go. I set up the hue app and authorized it to speak to the bridge. Then I set it up with Alexa in our Echo and it turns on and off flawlessly as requested. We even purchased some colored bulbs for my daughters’ playroom. Which she absolutely loves! It allows her to control the color with her voice via her Amazon Echo or by the Philips Hue app on her iPod. But then I got curious about whether or not this wondrous tool would work if I bought another Philips Hue starter kit for our second home that is located in another country on the other side of the world which has 220v. I researched online and I couldn’t find any definitive answers. So I ran a few tests myself and I can certify that if you bought Philips Hue bulbs in the United States, then they will work with 220 volts, even though they are rated for 110 volts. On the other hand, Philips Hue Lux bulbs, which are not the same and are only rated for 110 volts, will absolutely not work with 220 volts or at the very least will give you some serious complications. Someone, I know recently purchased a Philips Hue Starter Kit and a couple of Hue Lux bulbs and planned to use it in another country where the household electrical supply is 220 volts with 50 Hz. The Hue bulb worked fine and ran well for over two weeks with no problems at all. Philips Hue Lux bulbs only worked for a few hours and then began to flicker in and out before they died abruptly. 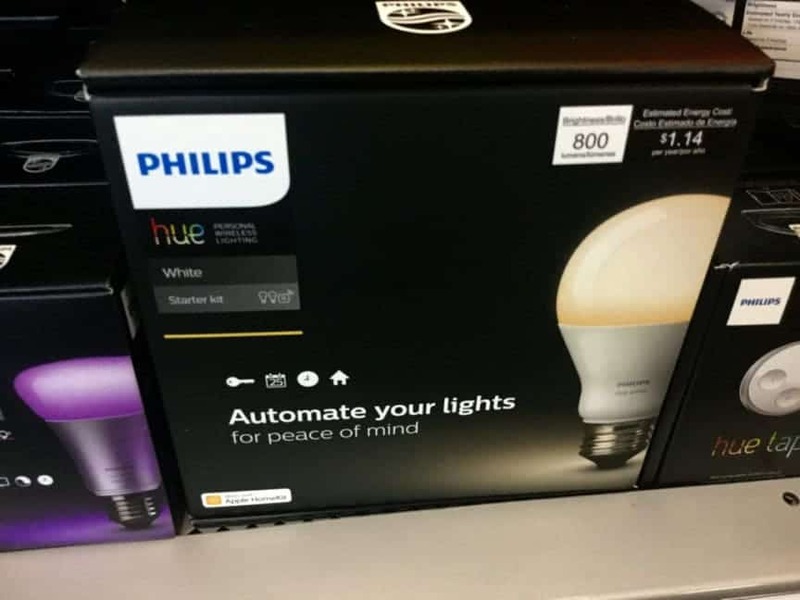 I also recently read an article in a forum talking about how the bulbs will come back on automatically after you shut them off through the Philips Hue app. I have heard people say varying things as well. Such as using a 120v adapter (which are relatively inexpensive) can fix these issues with the Philips Hue Lux bulbs if you are in another country. I have also heard that unless you purchased the product from Europe or Latin America it will not work with 220v. On top of that, I also read that it will still power on, but will give unexpected results such as not being able to turn on or off the lights with the Philips Hue app. However, the light strip and hub are compatible items being that they support 110-230v. Simply put, they say a resounding YES, they will work. Let’s look at the specifications on the box. It states. If the manufacturer says that it can handle it, then I would have to assume that it can. If it isn’t operating correctly for some reason, then you should contact Philips directly and find out why it isn’t working. I’m sure that as with any new piece of technology there are always bugs that need to be worked out. From what I have seen I believe that they have fixed the issues that people were having before with these bulbs in the newest generation. Either way, I definitely would not let it be a deterrent from buying the Philips Hue Bulbs. Personally, I recommend their starter kits that are sold on Amazon that come with the Philips Hue Hub. You can check the current pricing here. I pride myself in taking the time to thoroughly test these products before I do a review or try to answer any of your questions. I hope that this answers something that I haven’t been able to find a solid answer to anywhere else on the internet. If smart home lighting interests you, then please check out my guide on how to choose smart home lighting or my article about smart outdoor lighting before you leave.